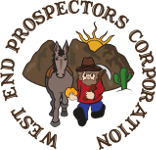 General Guidelines for Your Annual 2018 Mining Claims Filings | West End Prospectors Corp. Anyone who has any ACTIVE lode claims, placer claims, mill sites or tunnel sites on file with the BLM who wants to keep those claims after August 31, 2018. You may be required to file and/or record one or more of these documents. If you and ALL related parties control 10 or fewer mining claims, you may file a Small Miners Waiver and waive the 2019 Annual Maintenance Fee. This must be done on or before August 31, 2018. If you have Mill Sites and/or Tunnel Sites they do not require assessment work. You will need to record an Intention to Hold with the appropriate County Recorder AND file a copy with the BLM on or before December 30, 2018. All other claim holders must pay an Annual Maintenance Fee with the BLM of $155 for each Lode Claim, Mill Site and Tunnel Site. For each Placer Claim you must pay $155 for each 20 acres and portion thereof. For example; a placer claim that is the size of a standard lode claim (600 ft x 1500 ft) is 20.66 acres and will require a payment of $310. If you are paying an Annual Maintenance Fee you are required by law to record an Intention to Hold at the County Recorder's office on your existing claims each year. The BLM can not declare your claims as "abandoned" for failure to make this public filing but it is a good idea to do so. Follow the attached chart to determine what you need to file and to determine how much it will cost you. Documents that are required to be filed with the BLM need to be filed at the appropriate State BLM office not your BLM Field Office. Click the links below for addresses. Documents that are required to be recorded with the county need to be recorded at the County Recorder's office(s) in the county where your claim(s) is located. Please remember that these are General Guidelines only. I encourage all miners to study theappropriate mining laws for a full understanding of the filing requirements. Right to reproduce granted provided text is unmodified and attribution is included.